In the glow of a full January moon, it is the great horned owl who first senses that it is the beginning of spring. With the first full moon-the moon of beginnings-the owl starts his annual courtship. 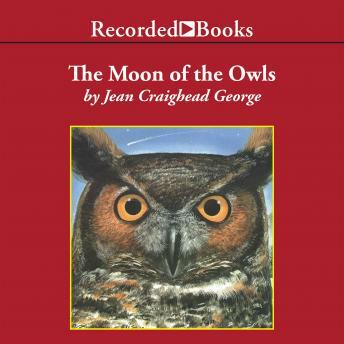 In Thirteen Moons-a spellbinding wildlife series-Newbery Award-winning author Jean Craighead George has captured thirteen North American animals in their natural environments and chronicled their fight for survival. From the lush Florida Everglades to the snowy Alaskan tundra, this series explores the intricate relationships among animals, plants, and the ever-changing environment in which they live. A favorite of adults and children alike, George's entertaining and educational tales of nature alive and in action-Julie , Shark Beneath the Reef and Julie of the Wolves -have thrilled listeners for a generation. Barbara Caruso's inspired narration captures the vitality of life in the wild, and penetrates the mystery behind one of the forest's most revered animals.